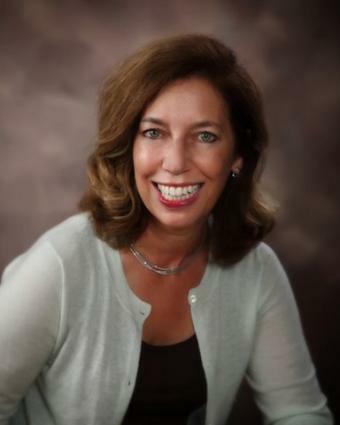 Christine Whitehead has been a practicing divorce attorney for 25 years. She sees her role as helping her clients find second chances in life. Ms. Whitehead is the author of Tell Me When it Hurts, a novel about how an individual's choices determine whether a second chance is possible. LoveToKnow recently had the opportunity to talk to Ms. Whitehead about divorce and second chances. LTK: What kinds of challenges do people who are going through a divorce face when trying to come to terms with what is happening? CW: The challenges are multiple and different for each person going through a divorce. There is often jealousy, a sense of betrayal and rejection. However, there are also fears of the financial future; of whether you can keep your home; and the sense that your entire life is out of your control. Even something as basic as making decisions for your children's schooling becomes a potential battleground and it can be a third party who ends up making decisions that you as a parent want to and should make. Many women who have not been in the job market for years are compelled to return to what they used to do or to develop new skills because their old ones are no longer up to date or suitable to the present job market. Finally, all sorts of connections get snipped: your spouse's colleagues and friends, your in-laws, people in the neighborhood. While most true friends try to stay neutral, often sides are taken. Raising your children, either as a single parent or in a shared custody situation, can create anger and divided loyalties for your children, which can be a challenge to deal with. I recommend co-parenting counseling. Often there is emotional pathology that pre-dated the divorce and a client's goals have to be modified from the ideal to the possible. If one of the parents has his or her own pathology or emotional issues or abuse or addiction issues, the challenges proliferate exponentially. LTK: Do you feel that whether to recover and move on with life is a choice? Why do some people get stuck after a major event like a divorce? CW: I do think it's a choice. My own experience is that the ease of adjustment depends upon how "big" the person's world was before the divorce. If a woman, for example, thought her children were her whole life and her role was family centric, it is very difficult to have that underpinning changed radically. It challenges her competence and her relevance. For a woman in that situation, a divorce can be a staggering blow. I have seen situations where a woman's life never moves on and it's always a replay of being left behind and unable to cope. On the other end of the spectrum, if you have one party who is invested primarily in career to the exclusion of spending time with the family and then the family is lost to some extent, that person may have an easier time moving on because so much of the "space" in their lives is filled with what they continue to do. Divorcing partners with extended connections, i.e. involvement in a book club, in social groups, in the church, with close friends, with extended family, have more resources and resilience. Partners who have very few connections, few close friends, few contacts with extended family, have more limited resources and their sense of loneliness is accentuated. I try to counsel parents to be vigilant that they don't make the divorce the defining event of their children's childhood. It's clearly a crucial and sad event for children. However, having represented many children in my practice, divorce itself can be a "blip" in their childhoods or it can be the traumatic chasm after which nothing is ever the same. That doesn't have to be the case but only the parents can control whether it is or it isn't by setting the tone and the role modeling. LTK: In your book Tell Me When It Hurts the main character is dealing with the loss of her daughter and a subsequent divorce. Is it common for one tragedy, such as the death of a close family member, to disrupt a marriage to the extent it can't continue? CW: Yes, that is very common. The death of a child is of course one of the most tragic events that can happen. 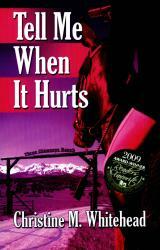 In Tell Me When It Hurts, as in real life, the mother and father dealt with the loss very differently. While neither blamed the other, it became an incompatibility that made life more painful and difficult for the other parent, ultimately leading to their divorce. Even a child with special needs in a family can absorb so many of the family resources and energies that resentments build, the couple loses their connection as a couple because all energies are going into the child with challenges, be they physical or emotional, and the "juice" of the couple and of their relationship shrivels and dies. The death of a close extended family member can have a similar impact. I was involved in a case in which the husband was very close to his mother and she passed away. It brought up many issues for him. All of these issues led to an extreme depression in the husband which ultimately was one of the factors in the parties' divorcing. Trauma that is chronic or extended which wounds one or both of the couple is a direct cause of marital separation. They have other children whom they are committed to. While one child does not replace another, it does force the parents to keep taking one step each day and to continue the journey. They have a very tight spiritual base which allows them to weather successfully events that would tear apart other couples. It could be a religious commitment, shared values or simply a deep connection to each other. LTK: What advice would you give someone who is going through a divorce and can't see any light at the end of the tunnel? CW: Well, that could be a book in itself, but I will condense! They're afraid. Finances will be tougher, they'll only have their children half the time, the person they love is leaving them, and their identity is being eroded. The process is difficult and not pleasant, so initially it is impossible to anticipate a fair and expeditious end of the process. For the first group, I remind them that if one person doesn't want to be in a marriage there is no possibility of it being a good marriage. To accept "what is" is healthy because only by accepting "what is" can we formulate proposals for the future that actually might work. For the second group, we work through child issues and finances gradually, and I propose solutions and present options. We discuss and work through budgets. Gradually, panic subsides and a plan shapes. Second, I urge people who are so inclined to see a counselor. Often the party who is devastated by the divorce can't see a future because he or she is holding onto something that is not real. Counseling enables us to explore beneath the surface. That Christmas morning that seemed so idyllic seems less so when you recall that your husband snuck out to text his girlfriend. That vacation with your wife, where everything you did was wrong from the way you held your fork to the way you combed your hair, doesn't seem as innocent in retrospect. Counseling can put a realistic light on what you in retrospect were putting a rosy glow on because you fear a future of new experiences. Third, you need to get a bigger world. If you go to work and come home and have no outside activities, you need to start broadening your world. Join a choir. Play on the company baseball team. If your children are small, join their karate class or horseback riding class. Get a gym membership. Don't have any of your old friends anymore? You need some new ones. Bring cookies to the new neighbors. The larger your world, the more sources of support you have. While you may not be in the market for meeting a new man or woman, it just may happen because you're broadening your connections. At the same time, you're staying busy and suddenly you realize you are going to begin to have more good days than bad days. While I try not to be negative, sometimes it helps to focus on the negatives of your spouse. If you always wanted to take a trip to the Mayan Peninsula but your spouse thought it sounded boring, you can now do it. If you wanted to go back to school at night but thought it would cause friction, now you can. When you start thinking that there will never be anyone like him or her again, remember your spouse usually drank too much at parties or would criticize your sister, or tell politically incorrect jokes, or never seemed interested in your thoughts about a new house, the fight on terror, or the "Hangover, Part II." New beginnings mean new opportunities for growth. It is amazing how a woman can be sitting crying about how she doesn't want a divorce and then as we talk, she starts talking about all the opportunities she has forgone because of this marriage. It's a process and it doesn't resolve overnight. Some people in the midst of divorce need medication for depression but I've found that most do not need it indefinitely and just need it for the extreme anxiety and despair when the blow hits. In retrospect, most of my client readily admit that the marriage was not good but they afraid of the unknown until it was forced upon them and they had to adjust. LoveToKnow would like to thank Christine Whitehead for sharing her expertise on the topic of moving on after divorce. She recommends her clients read the book, How Not To Have The Divorce From Hell (And Dance Together At Your Daughter's Wedding). It makes clear that your relationship with your spouse doesn't end because the marriage ends. Although it can be a difficult time in a person's life, this event does not have to define an individual's existence indefinitely.